Homeowners and renters of all means dream of having a beautiful home. With the lingering recession, many of us have less to work with but still long to live in style. Big Design, Small Budget makes luxury an affordable reality. In this DIY home decorating handbook, Helmuth reveals insider tips and her tried-and-tested methods for designing on a budget. In the past year, Helmuth has shared her affordable design advice and step-by-step approaches with millions through live teaching workshops, guest columns, television appearances, and interviews. Now, she has distilled her expertise into this practical guide. 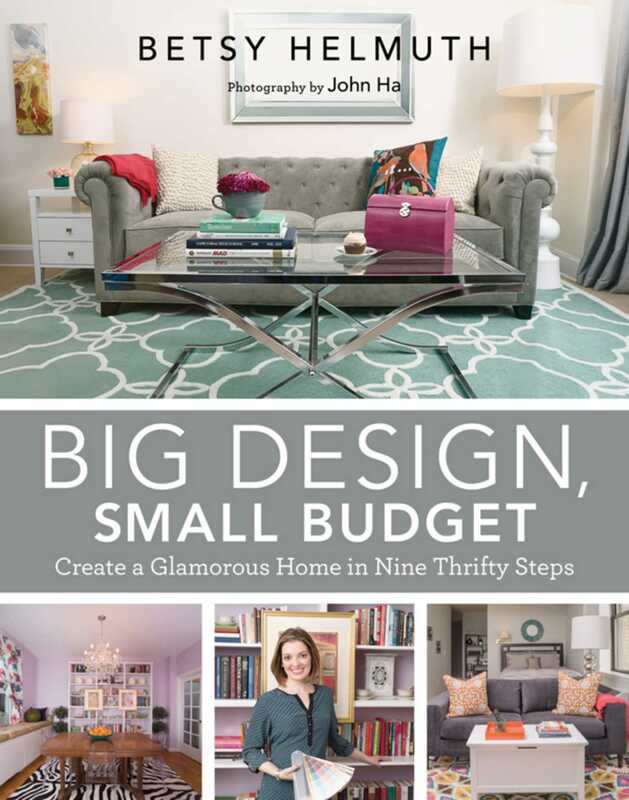 The chapters follow her secret design formula and include creating a design budget, mapping out floor plans, selecting a color palette, and accessorizing like a stylist. It’s time to start living in the home of your dreams without maxing out your credit cards. Learn how with Helmuth’s Big Design, Small Budget!